Agreement has been reached on the construction of an import terminal for Liquified Natural Gas to serve the greener energy requirements of India. Atlantic, Gulf and Pacific (AG&P) will develop an LNG (Liquified Natural Gas) import terminal at the Karaikal Port (KPPL) in India, including LNG sourcing and supply. 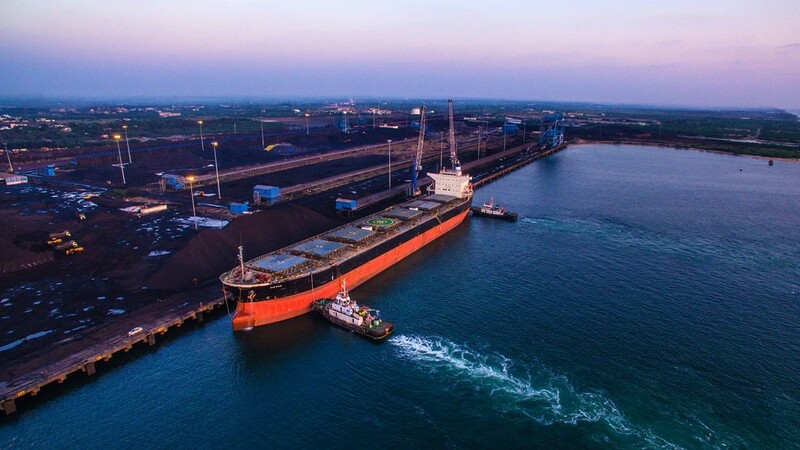 The Karaikal Port is a deep-water facility located on the east coast of India. Since commencing operations in 2009, the Port has handled over 46 million tonnes of multi-cargo and received over 1,400 commercial vessels. As part of the Port’s expansion beyond commercial cargo, it allocated an area within its existing breakwater to develop an LNG terminal to serve power, industrial and other customers in the region. The Port received its Environmental Approval (EA) for this development in May 2017. “Karaikal Port is a centre of trading for Southeast India and is crucial to the region’s GDP. With the addition of AG&P’s LNG import terminal, Karaikal Port will continue to be an engine of growth for the region’s future. Offering an all-weather operation with a breakwater ensuring 99% availability, night navigation, limited dredging requirements, proximity to GAIL’s existing Cauvery Basin gas pipeline network and 24/7 access to port services, we are immensely proud of the Port’s facilities that attracted AG&P to this prime site,” said Mr. G R K Reddy, Chairman and Promoter Director of KPPL. The development of AG&P’s LNG import terminal at Karaikal Port shall complement Indian Oil’s LNG terminal, which is under construction at Ennore, 300 km to the north, and will provide wider gas accessibility to Puducherry and Tamil Nadu. It will serve the heavily industrialised region of central Tamil Nadu which has major manufacturing clusters for the fertilizer, cement, steel, textile, leather, sugar and garment industries located within its 300 km catchment area. In addition, it will serve the gas-fired power industry as well as multiple demand centres via pipeline and/or city gas distribution network. “AG&P’s forthcoming Karaikal LNG terminal is a landmark development that will accelerate industrialisation, create jobs, trigger overall economic and social development and lead to much needed cleaner air. It will improve the quality of life for millions of Indians,” said Reddy. “AG&P will bring clean fuel to customers who do not have access to it today. AG&P is delighted to be working with KPPL to deliver this major infrastructure project to South India,” said Augusto Gan, President, AG&P. “AG&P’s innovative approach will establish Karaikal as a major gateway for distributing LNG quickly and efficiently to customers throughout the region. Using its standard designs and modular approach to building terminals developed in AG&P’s Houston, Texas Engineering Centre, AG&P not only eliminates expensive, bespoke engineering costs, but also significantly reduces construction time. This means the terminal will be up and running by mid-2019,” said Mr. Karthik Sathyamoorthy, President, LNG Marketing, AG&P. AG&P provides a fully integrated system from LNG sourcing to last-mile delivery, thus simplifying and making the decision to switch energy sources for its customers commercially compelling. AG&P’s business model is unique by bringing LNG design/engineering, innovative technology, manufacturing, project management, local marketing and operations under one platform .